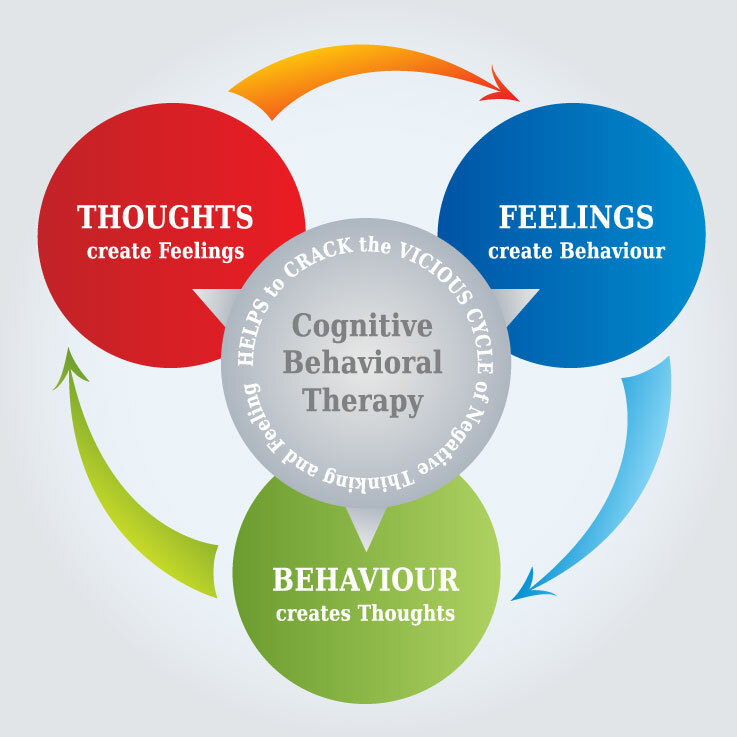 What is Cognitive – Behavioral Therapy (CBT)? Cognitive therapy (CT), or cognitive behavioral therapy (CBT) has been developed by Dr. Aaron T. Beck and is a type of therapy in which the therapist and the patient are cooperating as a team for the detection and solution of problems. The therapists use the cognitive model in order to help their clients overcome their difficulties by changing their thoughts, behavior and sentimental reactions. Cognitive therapy, according to hundreds of scientific studies, is quite effective in the treatment of numerous mental disorders, such as depression, anxiety disorders, eating disorders, and substance abuse, while, in the last years it is also applied in personality disorders. It has been also proved that it is effective as an adjunctive therapy to pharmacotherapy in the case of severe mental disorders, such as bipolar disorder and schizophrenia. It can be also applied in psychological problems such as difficulties in relationships and marriage, sexual addiction, as well as Internet or gambling addiction. Cognitive therapy has expanded its application to teenagers and children, couples, and families. Its effectiveness expands to the adjunctive treatment of medical disorders with intense psychosomatic elements, such as the irritable bowel syndrome, the premenstrual syndrome, the chronic fatigue syndrome, hypertension, fibromyalgia, depression after myocardial infraction, diabetes, migraine, and psychosomatic diseases such as chronic pain disorders. Contrary to other types of therapy, cognitive therapy is usually more focused on the present, its duration is relatively short and mainly focuses on resolving problems here and now. Furthermore, patients are helped so that they learn specific skills they can use for the rest of their lives. These skills occur through the determination of their processing errors in their way of thinking, the change of deeper beliefs, that we call “schemas” and finally the change of behavior patterns toward the others. 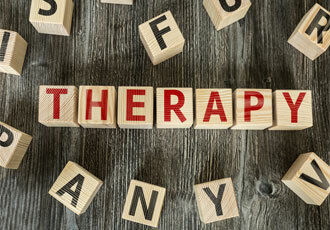 What are the differences between cognitive – behavioral therapy and the other therapies? Cognitive – behavioral therapy focuses on the present, on your current problems. If your current problems are related with sentimental difficulties of the past, then reference is made to the past so that the correlations are found and that the problematic behavior makes sense. It is structured and firmly oriented to the goals. Its duration is short as it aims at the fastest possible change of the problematic behavior. The therapist has an active part in the therapeutic process. The cooperation between therapist and patient is quite important. Together the therapist and the patient will set the desired goals, will decide about the techniques that will be applied, set the therapy plan that will help them overcome their difficulties and agree about the way the course of the therapy will be evaluated. What is the effectiveness of Cognitive Behavioral Therapy? There is a large number of research data that prove that Cognitive Behavioral Therapy is quite effective in the treatment of depression and anxiety disorders, as well as a series of other psychological problems and conditions. These research data have been carefully evaluated by international competent bodies, such as the National Institute for Health and Care Excellence (NICE) of Great Britain. Institutes such as NICE provide independent, established guidelines for the National Health Service of Great Britain regarding the most effective ways to treat diseases and health problems. What kind of help can Cognitive Behavioral Therapy provide? Cognitive Behavioral Therapy can be used in combination and synergy with medication that has been prescribed by your psychiatrist. You can also use Cognitive Behavioral Therapy on its own, if this is allowed by the nature and gravity of your problem. This is a decision that you can make in cooperation with your therapist.